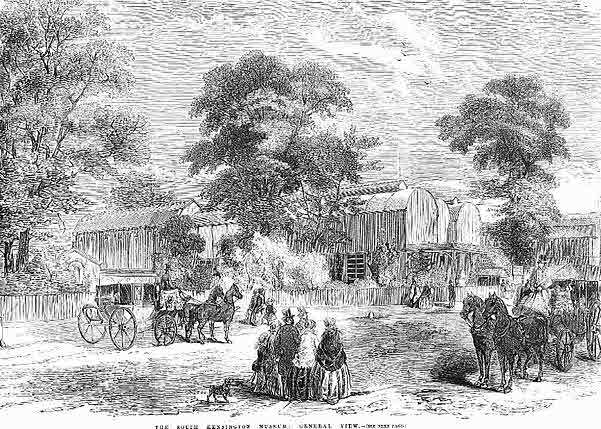 A view of the South Kensington Museum from the Illustrated London News June 27 1857. Looks familiar? These structures were only temporary and were dismantled in the 1860s. The large central block known as the Brompton Boilers was reused for the Bethnal Green Museum, officially opened in 1872.